The Santos 100 and Ballon Bleu watches, two watchmaking icons by Cartier, are now available in two new steel versions with an ADLC (Amorphous Diamond-Like Carbon) coating for a casual and modern look. 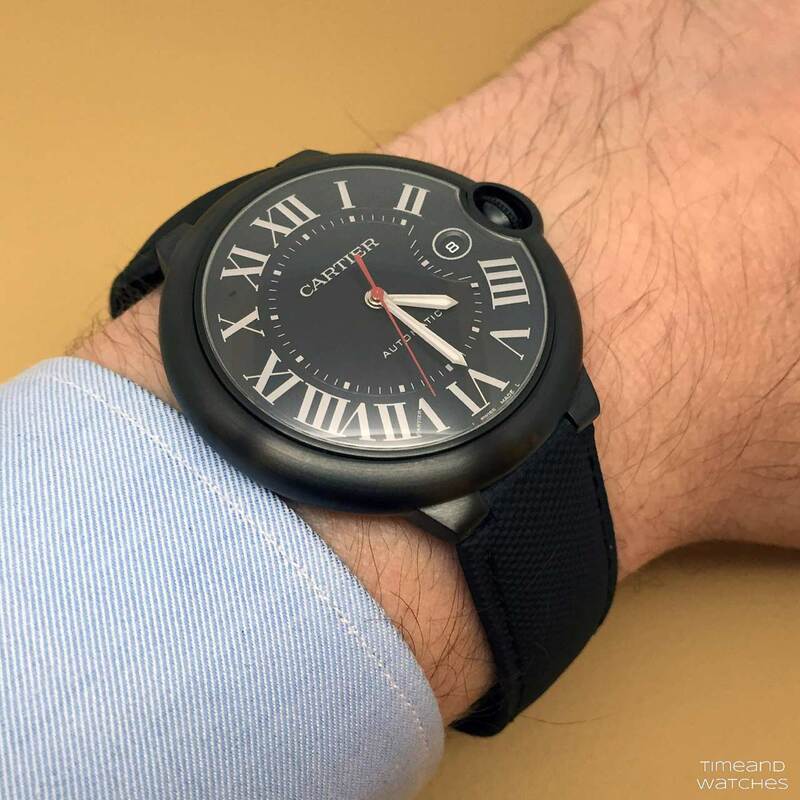 The Santos 100 Carbon and Ballon Bleu Carbon are powered by the automatic 1847 MC Manufacture movement beating at a frequency of 4 Hz (28,800 vph) and offering a power reserve of 42 hours. 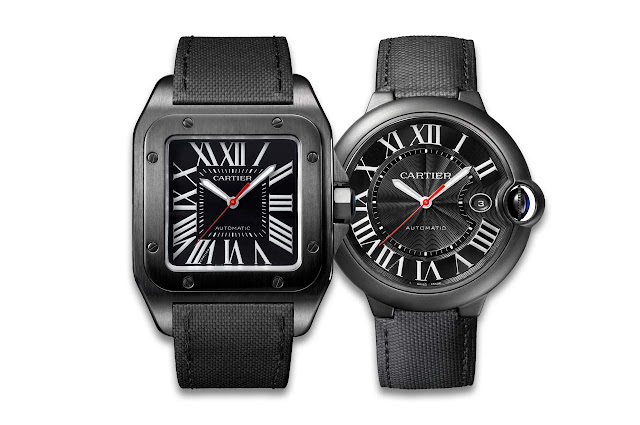 Cartier Santos 100 Carbon and Ballon Bleu Carbon. 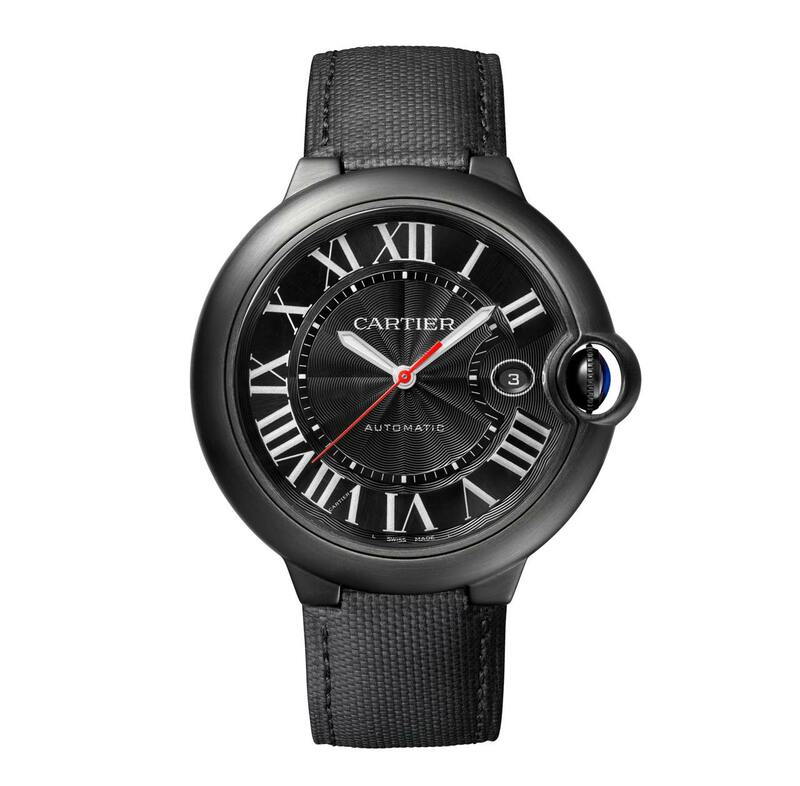 The Santos 100 and the Ballon Bleu watches, two watchmaking icons by Cartier, are now available in steel with an ADLC (Amorphous Diamond-Like Carbon) coating for a casual and modern look. 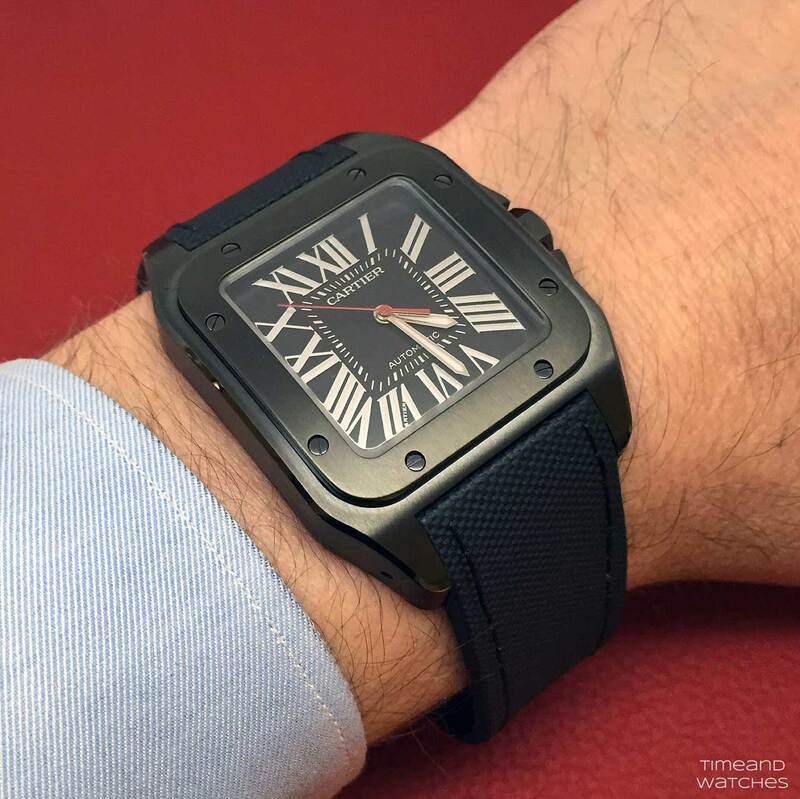 Prices: Euro 7,300 / US$ 7,600 for the Santos 100 Carbon (ref. WSSA0006) and Euro 6,500 / US$ 6,600 for the Ballon Bleu Carbon (ref. 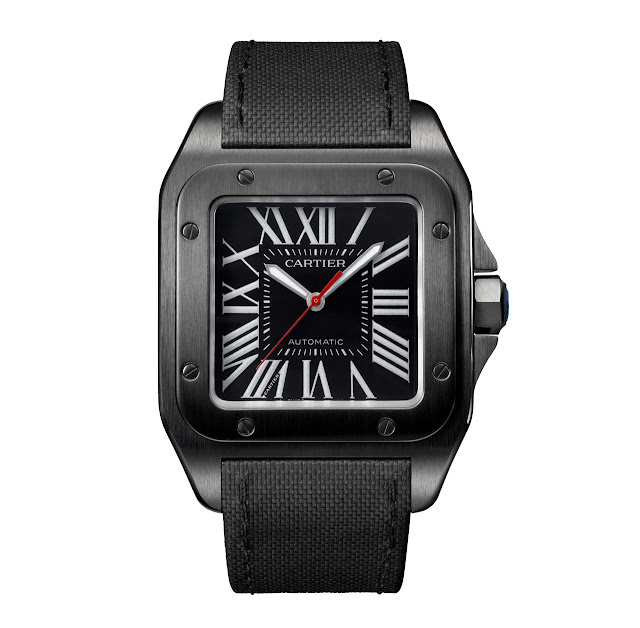 WSBB0015).